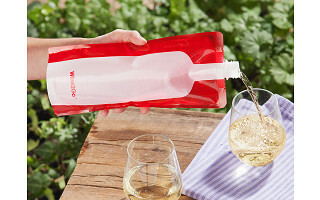 Oenophiles on the move can take their wine anywhere, thanks to these ingenious collapsible flasks made by Wine2Go. 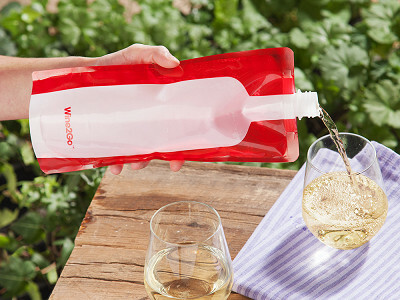 Roomy enough for a whole bottle of wine, Wine2Go solves a common problem that wine lovers face when hiking, camping, picnicking, hitting festivals, or tailgating. No more bulky glass, fear of breakage, and heavy backpacks: Wine2Go is light, flexible, and durable. The no-leak cap means you can transport your drink without fear. 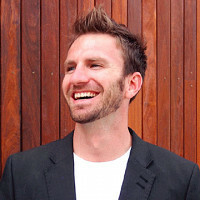 Maker Garth Williams is a wine enthusiast who wanted to take his favorite vintage along outdoors or to venues where glass isn’t allowed. He designed Wine2Go with zero taste transfer, preserving your beverage’s flavor. And the wide mouth is easy to fill and pours like a real bottle. Also available in an 8-ounce Flask2Go for alcohol, these reusable, recyclable containers can be cleaned with hot water and left to air dry. Next time you want to take spirits along, you’re ready. 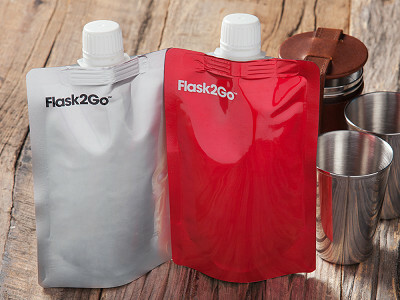 Oenophiles on the move can take their wine anywhere, thanks to these ingenious collapsible flasks made by Wine2Go. Roomy enough for a whole bottle of wine, Wine2Go solves a common problem that wine lovers face when hiking, camping, picnicking, hitting festivals, or tailgating. No more bulky glass, fear of breakage, and heavy backpacks: Wine2Go is light, flexible, and durable. The no-leak cap means you can transport your drink without fear. Maker Garth Williams is a wine enthusiast who wanted to take his favorite vintage along outdoors or to venues where glass isn’t allowed. 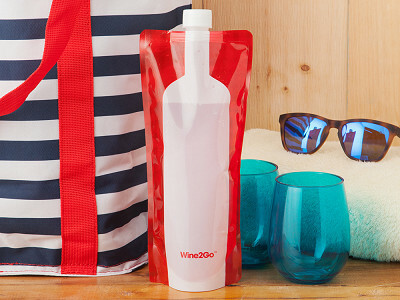 He designed Wine2Go with zero taste transfer, preserving your beverage’s flavor. And the wide mouth is easy to fill and pours like a real bottle.